Clachaig has 3 bars in total, each with its own distinctive and lively character. Real ales, malt whisky, good food and fresh coffee are served in all our bars – choose the atmosphere that suits you best. They are a great place to meet up, enjoy a meal, have a coffee, catch up with the craic, sample some real Scottish produce, dance to the music, chill out and relax and…, well, so much more. No wonder then they’ve been the focus of so many awards! As nature intended, casual, easy going 22 acre wooded campsite alongside the River Coe. Campfires allowed. 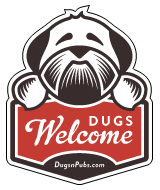 There are a total of 4 dog friendly listings in the Glencoe category. Please log in, or sign up as a member to view all listings.